Why do I like cinema? Hard to say, there are probably numerous reasons. Cinema allows me to escape. When I get to the cinema, I forget everything that surrounds me. I forget my life to dive into the protagonists’ ones. Cinema is for me the only way to live a life that isn’t mine, I can be an adventurer who is going to explore the pyramids, an astronaut who will colonize a remote planet in order to save the humankind … But I can also live more tragic stories, feeling my heart sinking and cry. Cinema is a magnificent form of art which allies image and sound to create a true experience, suffused with emotions and surprises. 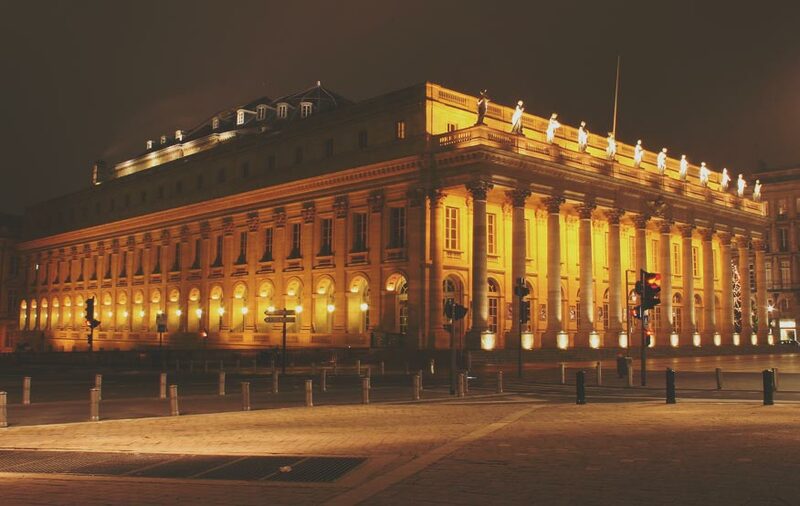 Have you ever been at the Opéra National de Bordeaux? It’s a grandiose building, erected in 1780. It reminds the Greek temples because of its frontage with its big columns and its statues on their top. The inside of the opera house is even more beautiful, the inside stairs even inspired Monsieur Garnier for his opera house in Paris! What is the link with cinema? You may ask. It’s very simple, from the 7th to the 15th of March will be the second edition of the Ciné-Notes Festival. What is it? It’s a week where different events linked to the cinema will be scheduled. The program includes: a concert in tribute to Bernard Herrmann (one of the greatest films scores composers of history, who composed a lot for Alfred Hitchcock) and a cinema screening with live music (“ciné-concert”) of the movie Vertigo from Alfred Hitchcock (truly exceptional movie) on the Thursday or on the Friday. Then, Saturday the screening of two classics: Marnie then Taxi Driver. And to close, a movie conference presented by Thierry Jousse. Whether it is to see your classics again or to discover some works that you never had the occasion to see, it is the perfect opportunity!